Are you looking for a boiler that is fantastic value for money to be installed by a qualified Gas Safe registered engineer? Then look no further than LP Plumbing & Heating. We are based in Snodland, Kent and offer the installation of boilers throughout the surrounding area including Maidstone, Rochester and Chatham. At LP Plumbing & Heating, we provide our customers throughout Kent with a top class boiler installation service. We take great pride in our attention to detail and in the quality of our workmanship. We provide fantastic value for money with the service we offer and are confident that you will be entirely satisfied with our service. From helping you select the best boiler to meet your needs through to completion, we'll guide you through the process, clearly communicating and explaining the work involved at every step. When you select LP Plumbing & Heating, you have full peace of mind that you are having work carried out by an experienced, trained Gas Safe registered engineer. It's important to have you boiler installed by someone who is competent and knows what they are doing to avoid negative consequences in the long term. A great number of boiler repairs are the direct result of shoddy workmanship or lack of understanding on part of the engineer, so it's vital to have it done correctly the first time round. 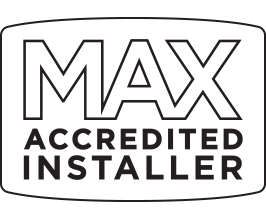 At LP Plumbing & Heating, we are an Ideal Max Accredited Installer, meaning we have undergone training direct from one of the leading boiler manufacturers in the industry, namely Ideal. Why does this matter to you, the homeowner? Well, for starters, this means that we are fully experienced and knowledgable in the installation of these boilers and are confident in our ability to install Ideal boilers to the highest standards. 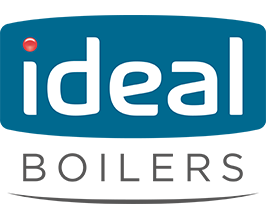 Furthermore, it means that we can offer you an extended manufacturer warranty of up to 12 years on select Ideal boilers we install, providing you with coverage and peace of mind. If you are interested in having a boiler installed in your property, then please get in touch with LP Plumbing & Heating today. To get in touch, please give us a call on 07534 907893 or send us a message using our contact form and we will get back to you at the earliest possible convenience.